Little, Brown Books for Young Readers, 9780316515290, 400pp. 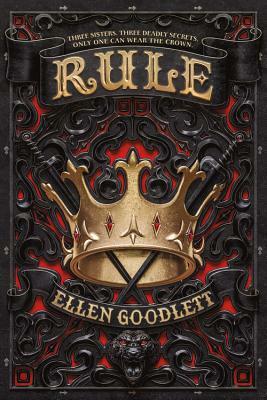 Three Dark Crowns meets Pretty Little Liars in this sensational and striking new fantasy from debut author Ellen Goodlett, which New York Times bestselling author Elly Blake calls "dazzling" and "pulse-pounding". Zofi has spent her entire life trekking through the outer Reaches with her people. She would do anything to protect the band, her family. But no one can ever find out how far she's already gone. Ren grew up in Kolonya, serving as a lady's maid and scheming her way out of the servants' chambers. But she could be hanged for treason if anyone ever discovers what she's done. When the king summons the girls, they arrive expecting arrest or even execution. Instead they learn the truth: they are his illegitimate daughters, and one must become his new heir. But someone in Kolonya knows their secrets, and that someone will stop at nothing to keep the sisters from their destiny...to rule. Magic, mystery, and blackmail abound in this heart-stopping fantasy debut. Ellen Goodlett is a Pittsburgh native and former New Yorker. She wrote Rule while traveling the world with 78 other digital nomads, living in a different country every month. Rule is her debut novel.